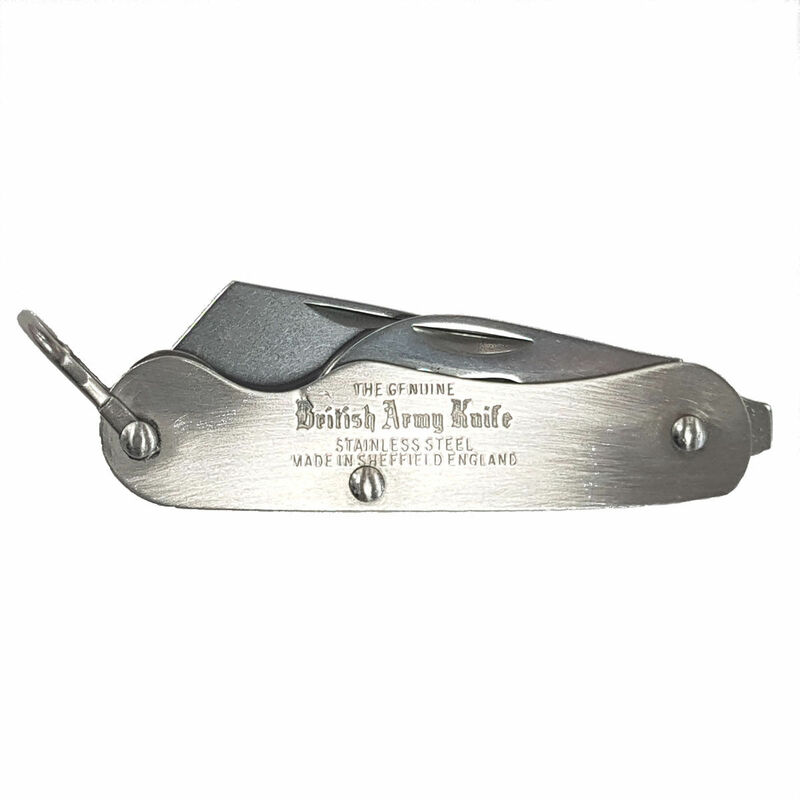 The British Army Knife - Non-Locking Blade is a supremely simple and robust UK legal folding knife with a non-locking blade made from high-carbon stainless steel, made in Sheffield. 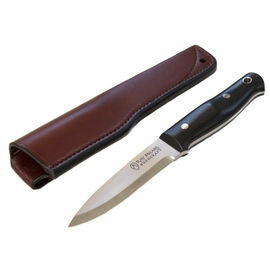 This two-piece knife utilises a time-proven design and makes an excellent everyday utility knife. 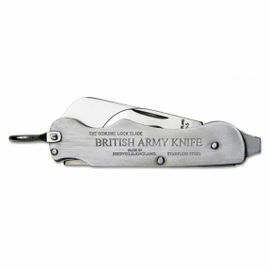 The British Army Knife features a heavy-duty sheepsfoot blade, as well as a tin-opener and integrated screwdriver. 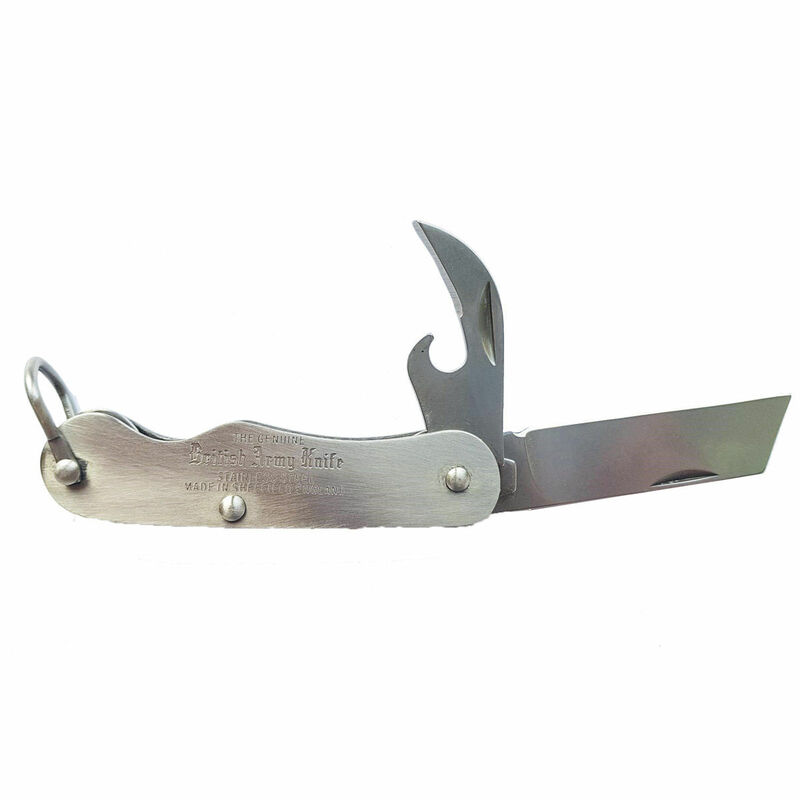 A tough shackle is fitted to the handle, allowing you to attach a lanyard. 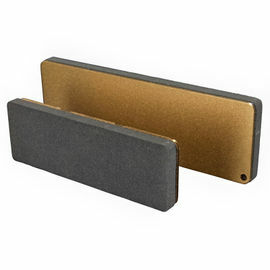 The handle proudly features the genuine 'British Army Knife' stamp. 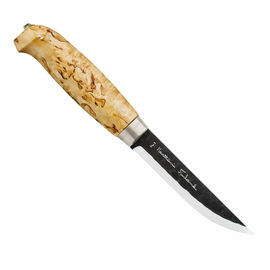 The city of Sheffield has been a world centre of fine knife making since the 14th Century, and this tradition lives on today in this tool. Traditional materials and techniques make Sheffield-made knives a living part of our knife making heritage and are a joy to own and use. 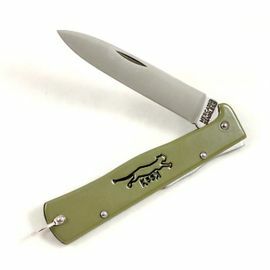 All folding knives should always be used with caution. 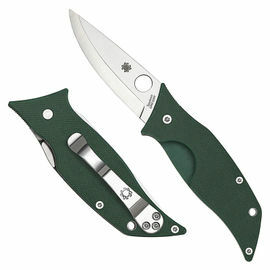 British Army Knife - Non-Locking Blade is rated 5/5 based on 1 customer review. 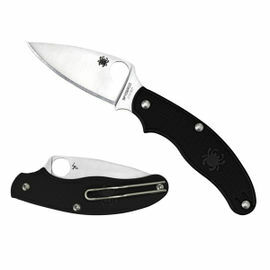 This is a real work knife, it takes a sharp edge, its nothing fancy but well made and strong. I bought new one because old one was stolen. With normal use will last forever.